With Valentine’s Day just a few weeks away, read on to find out why you should consider Livermore one of the best romantic getaways near San Francisco. We hope to see you and your love soon! There’s almost nothing so relaxing as a visit to the spa. You can experience real tranquility and togetherness with a visit to our Livermore couples’ day spa. The Purple Orchid features sweeping views, quiet landscapes, and total mind-body spa immersion. A couple’s retreat and massage package at The Purple Orchid are one reason Livermore is one of the best romantic getaways near San Francisco. You’ll find everything you could want in our Romance for Two packages. 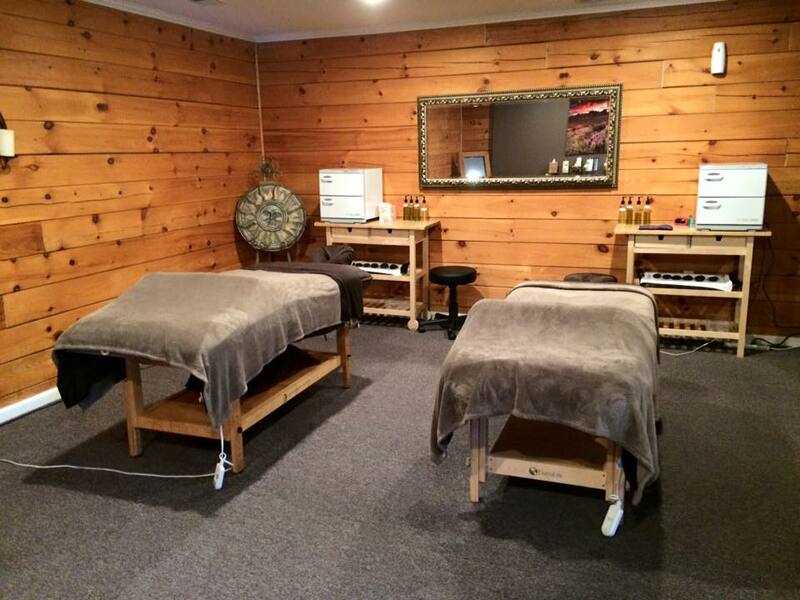 You can bring this Livermore couples’ day spa experience home with you by booking our couples’ massage class. This option features 2 hours of hands-on instruction with a licensed massage professional. You and your partner will learn how to give each other a back, neck and shoulder massage. You’ll get to take home a couples massage book, massage tool, a bottle of Hand Prints Massage Oil and chocolates. Livermore Valley is a spectacular place to grow and make wine. Influenced by a variety of well-drained soils, the relative high altitude of the valley and daily, summer maritime breezes, the region’s grapes yield outstanding award-winning wines. The Livermore Valley is chock full of outstanding wineries. So many, in fact, that can be daunting trying to figure out which to visit. You can learn about all the Livermore Valley wineries and plan your itinerary on LVWine.org. In the early 2000s renovation, a brand new double-sided marquee was installed on First Street. Craft beers are served daily. And it’s more than just movies, too. The schedule includes live, major sporting events on a giant 30-foot screen, classics nights, wine nights, and Oscar & Super Bowl parties. It all adds up to one spectacular night out in Livermore! If you’re looking for the classic feel of California wine country, look no further than this most elegant of restaurants in Livermore, Wente Vineyards Restaurant. The Restaurant at Wente Vineyards features ingredient-driven California wine country cuisine using sustainably and organically grown local ingredients. While the menu holds its foundation in American dishes, it is influenced by French and Italian provincial cuisine. The seasonal menu changes daily, utilizing produce from The Restaurant’s organic garden. The award-winning wine list offers more than 1,000 selections, providing numerous options for wine pairings. The Bankhead Theater is one of three venues operated by the non-profit Livermore Valley Performing Arts Center. The Bankhead Theater itself is home to nine Resident Companies: Cantabella Children’s Chorus, Del Valle Fine Arts, Livermore-Amador Symphony, Livermore Valley Opera, Pacific Chamber Symphony, Rae Dorough Speaker Series, Sycamore Strings Academy / Bothwell Arts Center, Tri-Valley Repertory Theatre, Valley Concert Chorale and Valley Dance Theatre. Our free area vacation guide will give you plenty of ideas for your next romantic getaway!